Subscribe to comments with RSS or TrackBack to 'Syracuse/AAA Pitching Staff Year in Review; 2011'. Seems to me Detweiler could also be prime trade bait (and others on the list could be trade bait also, most notably Stammen). IIRC, one reason talks for Bourn never got far is that Houston started out asking for Detweiler. Can’t blame the Nats for not wanting to trade Ross for someone who’ll be a free agent after next season (and being a Boras client is very unlikely to sign an extension) but I think he might be in play this winter. Yeah I agree on Detwiler as future trade bait. I was making this same point in conversations over the weekend. We now have a slew of starters whose ceiling seems to be #5 starter or 4-A guy (among others, Stammen, Maya, Detwiler, Milone, Martis…). Perhaps we should flip these guys to other organizations for their own 4-A ceiling hitters to help balance out that lack of depth in our AAA squad right now. Its tough to really predict what would happen w/r/t trades and FA signings though. 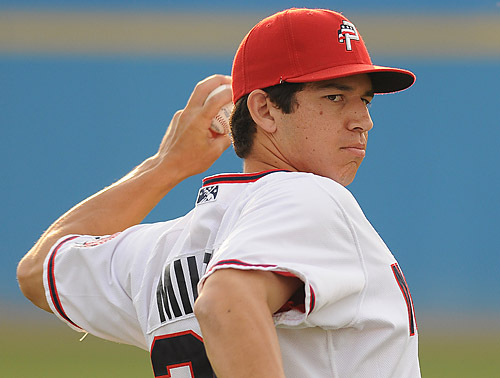 You never know; suddenly we may find ourselves with a #4 starter in a trade and someone like Milone goes from a rotation candidate back to AAA.